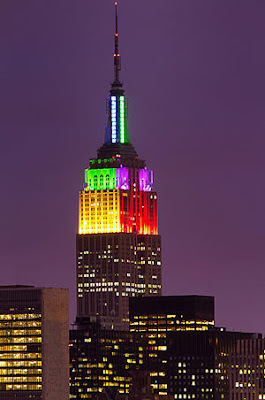 The Empire State Building will celebrate New York City’s Pride Week from Friday, June 22 through Sunday June 24 by shining its tower lights in rainbow colors. This year’s Pride March will take place at 12:00 noon on Sunday June 24th. The parade begins on 36th Street and Fifth Avenue and ends at Christopher and Greenwich Streets. For more information on NYC Pride, click here.